A few weeks ago, I posted about Ohio State’s increased use of wind power to get the university on track to have zero emissions. I’ve seen a few wind turbines here in Ohio (there’s one up near 270 and Sawmill Road where all the car dealerships are), and I’ve also seen the blades travelling along the highway on the backs of trucks. It really is hard to get a handle on how BIG these blades are until you see one up close. 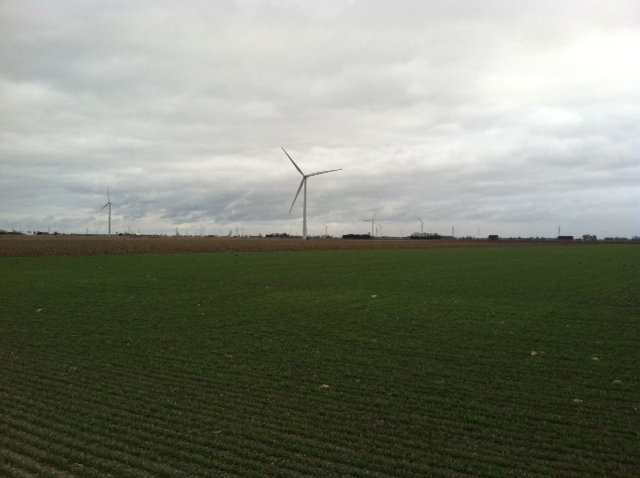 When we went up to visit my brother in Michigan for Thanksgiving, we drove close to a whole field of the turbines, and my brother was kind enough to drive by them for a better look. What a sight to see! There must have been about ten of them near Saginaw (Sorry, I don’t remember the exact location because we were out in the middle of nowhere!). Here’s video of the wind turbines in action: it was very windy that day. And speaking of wind power, Pete and I just enrolled in AEP’s program to provide our home with wind-generated electricity. If you’d like to enroll, click here! From what I gather, your residential electricity will be 100% from wind if you enroll in this program. According the AEP’s website, “ECO-Advantage matches 100% of your usage with national, Green-e® Energy Certified, Wind Renewable Energy Certificates (RECs). A REC is the environmental attribute associated with the generation of one megawatt hour of renewable energy. Each REC embodies different characteristics that vary depending on the generation facility. Buying RECs helps build a market for renewable electricity. It also has other environmental benefits including reducing greenhouse gas emissions and air pollution and stabilizing energy costs by reducing price volatility in the energy markets.” I say that anything that increases the demand for clean, green energy is wonderful. 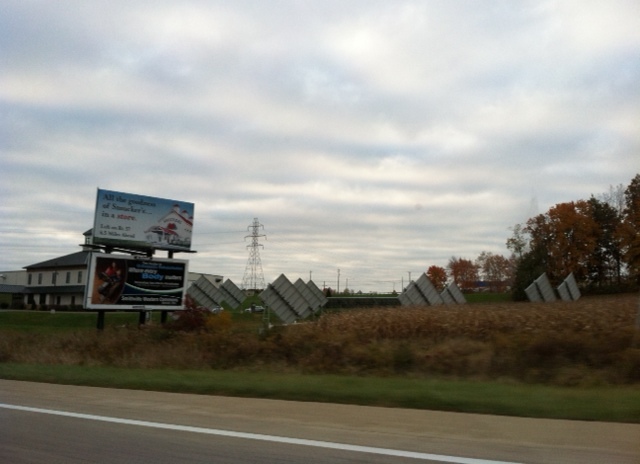 Finally, on State Route 30 just east of Wooster, there is one company that has a large array of solar panels. The picture’s not the best as I took it from a moving car. In any case, it’s so great to see this kind of support for green energy – and for our planet. 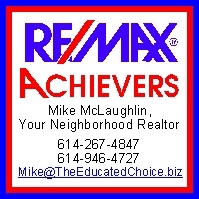 This entry was posted in General Information and tagged AEP, green energy, solar energy, wind power. Bookmark the permalink. decision-making and manufacturing programs that have actually become redundant.